Julius Gabriel é músico e saxofonista activo especialmente nos campos do jazz, da música experimental e improvisada, recém chegado ao Porto. Nasceu em Berlim em 1988 e cresceu com a fervilhante cena musical da cidade. Em 2006 começou a tocar com a Berlin Youth Jazz Orchestra e em 2007 com Gunter Hampel, que se tornou no seu mentor. Em 2009 começou a estudar música na Universidade de Artes Folkwang. Julius Gabriel integra ainda Blue Shroud Band de Barry Guy, o colectivo The Dorf, uma orquestra de 25 músicos dirigida por Jan Klare e toca com projectos muitos diferentes como, por examplo, a banda jazzcore Ikizukuri ou o duo de saxofones About Angels and Animals. Hoje ele apresenta um programo de composiçoes originais para um trio de jazz contemporâneo. Armacost, tell a fascinating tale. A marquee player on the New York and Japanese scenes for many years, with an extensive discography and countless live and recorded collaborations to his name in the US, Europe and Asia (including the New York Standards Quartet recordings on this label), the clear direction for Time Being arrived, remarkably, out of the blue. 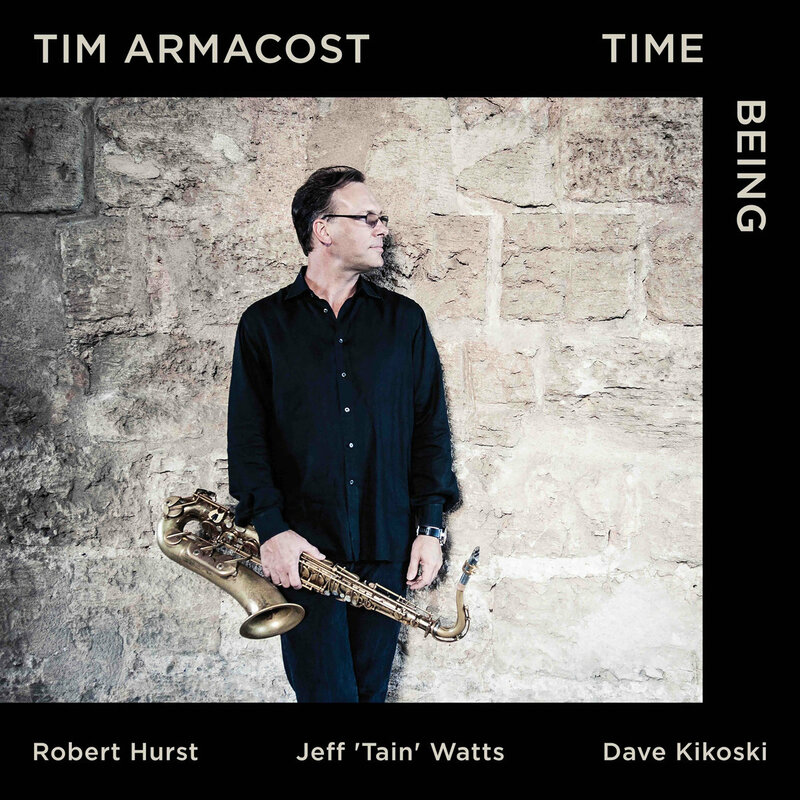 As Armacost elaborates: “I pictured myself playing Ornette Coleman’s Lonely Woman in the studio with a trio – double bassist Robert Hurst and drummer Jeff ‘Tain’ Watts. Tain was, in terms of time signature, out on his own, and Bob and I were communicating with each other independently of what he was playing. But what Tain was doing was so incredibly attractive – so fiery and so beautiful – that we both really wanted to go over and be part of that; yet we already had this thing that we had to do together. That whole idea of people relating to each other in the time, but in a non-traditional way, and creating tension which would eventually be resolved by them going over to play together, was something I’d never tried before – and the concept was really exciting. To achieve this, technology might have been the answer. But in the end, we decided to record in Tain’s studio, in an intimate live environment with no separation” (occasional left/right panning helps with the visualisation). 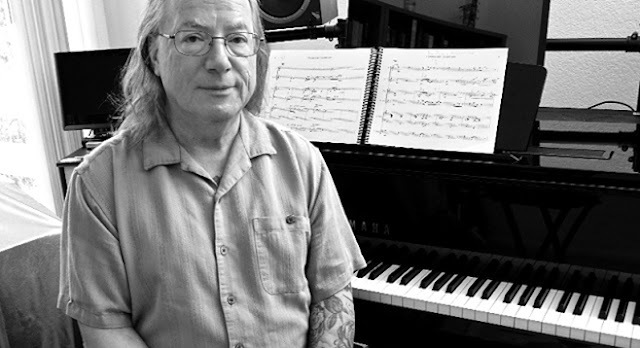 “So for my compositions and arrangements, I needed to imagine the ideas happening in real time; and fortunately, with Tain and Bob on board – some of the most swinging musicians on the planet – there was a great, combined willingness for exploration, to make it happen.” Joining the trio on selected tracks is pianist David Kikoski, providing elegant, rippling color to numbers such as ‘The Next 20’ and ‘One and Four’. Through the dedication of these accomplished artists, such a challenging brief has evolved into a project which is incredibly organic, purposeful and sumptuously swinging. The three ‘Sculptures’ on the album are very much an expression of this structured experimentation. ‘Phase Shift’ is modelled on an ‘X’ formation, as Armacost and Watts converge along the left tempo pathways, with Hurst on the right until saxophonist and bassist change places (an E flat to C piano key-change marks the crossover point) – technical in construction, but an exhilarating listen. In ‘Tempus Funkit’, Armacost independently visits the rhythms of drummer and bassist; and the particle-like conflict of ‘All The Things You Could Become In The Large Hadron Collider’ (based on ‘All The Things You Are’) is also a playful reference to Charles Mingus’ ‘All The Things You Could Be By Now If Sigmund Freud’s Wife Was Your Mother’. ‘Lonely Woman’ – the seed of this album which germinated so many possibilities – features a call-and-response between tenor and bass (with each saying, “Check out the way I’m playing the melody”), initiating their own improvisations until the drums home in on the bassist (as Tim puts it, “He can’t resist”). So the differing musical tensions are intentionally part of the unplanned dialogue present throughout this recording. In title track ‘Time Being’, the trio divides when tenor moves to a different tempo, with Hurst following, and Watts reaching them later – as Armacost enthuses: “When we all come back together, the pay-off is really delicious!” Pacey ’53rd Street’ is inspired by the blues melody of Thelonious Monk’s ’52nd Street’; there’s a fine, percussively buoyant interpretation of Monk’s ‘Teo’; and feisty, original composition ‘Alawain’ says so much about this trio’s collective, impassioned spirit. 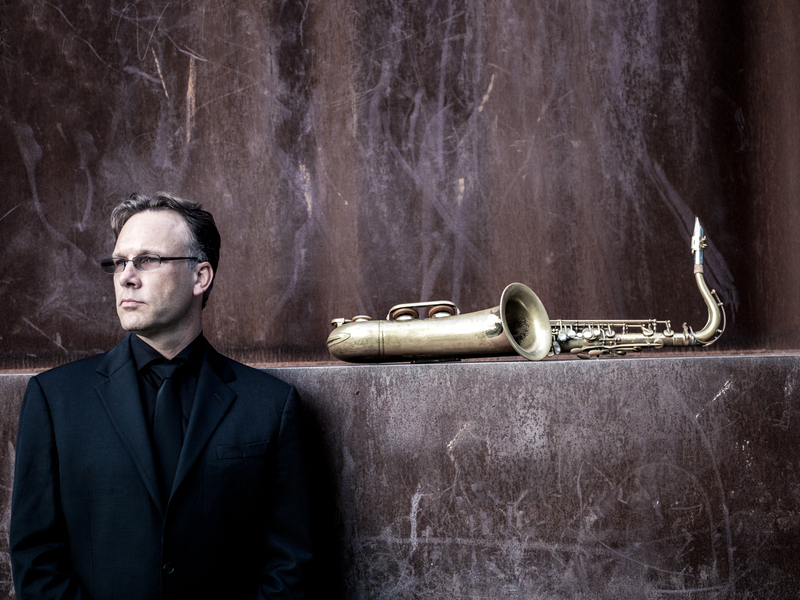 San Diego, CA: As a 25-year veteran of pushing the boundaries of modern composition, prolific musician Joe Garrison is getting set to introduce his most adventurous project yet. 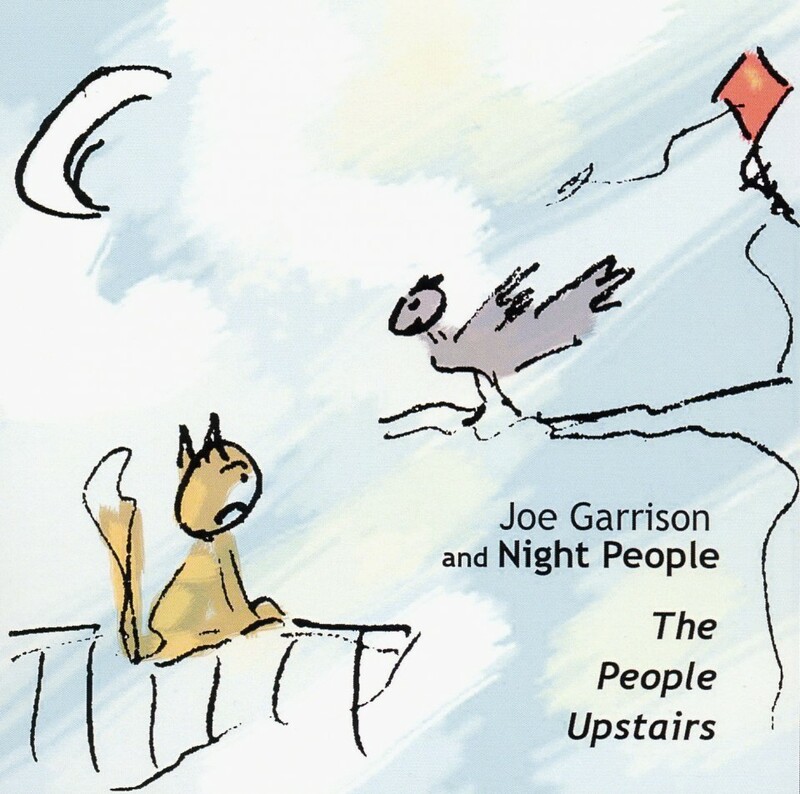 Releasing April 7, The People Upstairs is the follow-up to 2013’s Veranda, which the San Diego Troubadour favorably compared to the ground-breaking work of Oliver Nelson while also landing in NBC San Diego’s Top 10 jazz releases that year. “Moving Day” jump-starts the wild and wondrous action before side-shifting through the space time continuum on “The Balcony, 3am.” Elsewhere “The Cat, the Bird and the Kite” elegantly explores an ethereal dimension, providing an emotional counterpoint to the dizzying ascension of “2nd Floor Man.” The final step up the Stairs is to behold the elegiac beauty of “The Two Stars,” which is based on a poem Garrison wrote about what happens in a relationship when one of the members dies. Profoundly moving, “The Two Stars” represents the sole track Joe performs on. Clocking in at 41 minutes, the intricate and visceral compositions on The People Upstairs recall the eclectic veracity of John Cage, who decreed “All music is music when you let it flow.” It’s a mindset Garrison has championed throughout career, fusing jazz, classical, rock, Indian, Indonesian Gamelan, Japanese, stride, medieval, and minimalism into his amalgamations, so it’s only natural that his music doesn't really fit in, yet, unequivocally, draws you in. 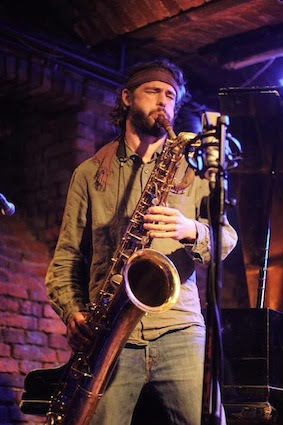 Commissioned by local music event, Rusefest, in 1989, Night People’s sole ongoing purpose has been playing original, creative, modern jazz, usually in large ensembles, using instruments not normally associated with jazz, such as oboe, French horn, flute, and bass clarinet. While the collective expanded to 19 members at a KSDS Jazz Live concert in 2015, The People Upstairs is configured as as a septet throughout the main suite before increasing to nine on closer “The Two Stars.” Joining Garrison on this vast musical journey are acclaimed jazz and classical musicians, Lori Bell (flute), Dr. Ariana Warren (clarinet, bass clarinet), Derek Cannon (flugelhorn), Brian O'Donnell (bass trombone), Melonie Grinnell (piano), Tim McNalley (electric bass), Michael Hayes (drums) and New York French horn player Nicolee Kuester, who commissioned Garrison to compose the project. 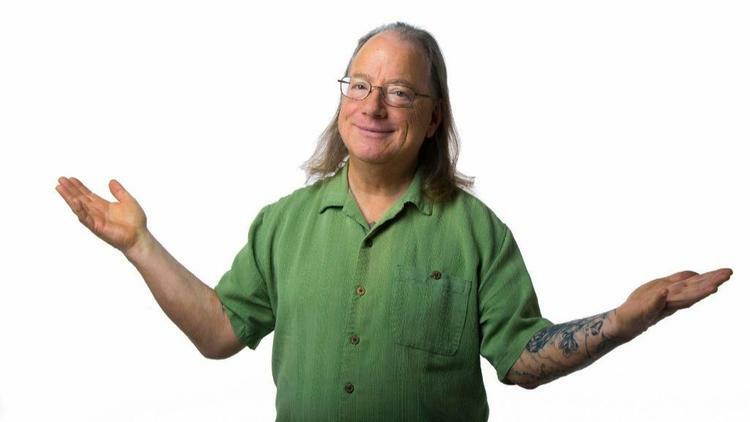 During his illustrious career, Garrison has played keyboards with the the likes of Tambau's International Orchestra, Ruse Collective, Ira Liss' Big Band Jazz Machine, Bob McMahon's Real Band, Koko Pelli, and Immediate Freedom Latin Jazz Ensemble.